This large two story Beach House is only 300 yards to the sand. 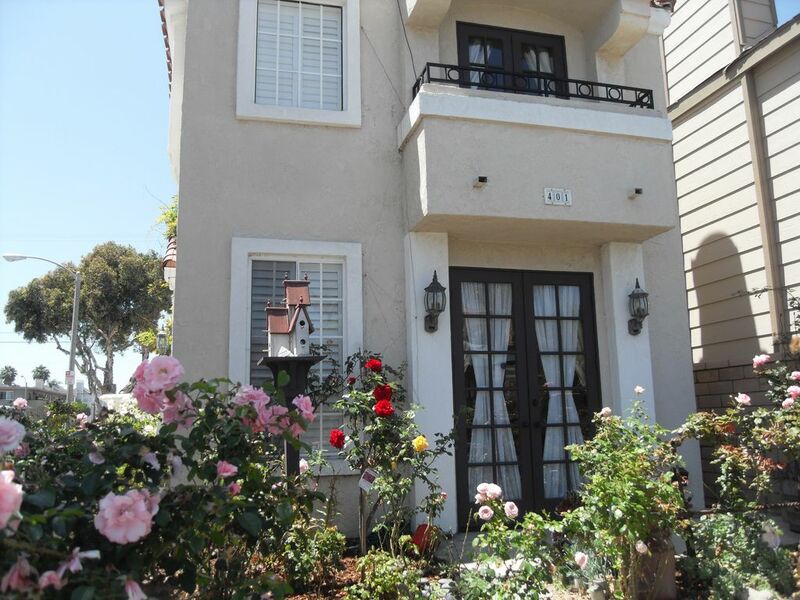 It is located in a very desirable downtown location, along a popular 8 mile stretch of California Beach. * The house has 2 bedrooms and 2 1/2 baths (1700 sqft.) there are one queen bed in the master bedroom, 3 twin beds in the second bedroom and a day bed in the livingroom. All the bedrooms are upstairs. Each bedroom has it own full bath. * Living room, kitchen and dining are downstairs. There is also 1/2 bath downstairs. * Close to Disneyland (Anaheim), Knott's Berry Farm..
* Near Newport, Laguna, Long Beach, Los Angeles & San Diego. * See our website at link below. * Beautiful Beach House - Great Location! 1 reserved space on concrete driveway behind garages. Street parking is also usually available.